what will I do to continue my learning and growth? WHAT IF? Consider the power and challenge of that question. Make it personal and it becomes more powerful and more challenging: “WHAT IF I …..? Great things can happen when we take risks. The same-ol’-same-ol’ happens when we play it safe. And we can argue that “playing it safe” is anything but. In a fast-paced and ever-changing world, if we play it safe, we might as well pull into the rest area and watch the others speed by on their journeys. We can be content in our safe place out of the potential pitfalls of the road. Last week I helped facilitate a night of professional development for FSCJ’s adjunct faculty. Called the Edison Effect, the evening focused on the power of stretching our limits even when failure is a real possibility. We had lively conversation as well as time set aside for reflection. The bottom line: We encouraged those in attendance to step outside their comfort zones and commit to do one thing new/different/risky this term. Rather than risk-aversion we encouraged risk-taking. Not foolish risks; nor risks that would hurt another being. Risks that would move them to challenge old assumptions and redundant actions. Of course, this not only takes chutzpa on the part of the risk-taker it also requires a leadership team that encourages such action. The center piece at each table represented products that evolved out of what initially were considered failures—or at the very least, unexpectedly came out of a process aimed at developing another product. An accident that led to a greater success than imagined. Post-it notes, chocolate chip cookies, the slinky, and potato chips were some of the items. Lots of talk. What are we doing about it? Let’s hear from a big loser! 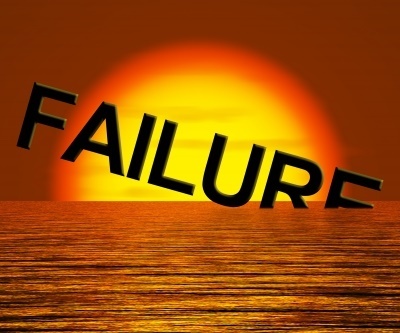 FailCon, an inspiration for me, simply states that it “is a conference for start-up founders to study their own and others’ failures and prepare for success.” Failure leads to success. In A More Beautiful Question the author posits that those who always have the answers—the so-called “experts”—are merely people who have stopped learning. Perhaps for these “experts” failure is no longer an option. What if we keep learning? By stumbling along as we find our way. Not playing it safe because we might skin a knee. Why not fail fast and fail forward. Again and again. How will I stretch myself in the coming week? Even if I might fail, what will I do to continue my learning and growth (professionally and/or personally)? This entry was posted in Choice, creating your future, Failure, Goals, Mindfulness, Motivation, Passion, Personal growth, resilience and tagged adjunct faculty, appreciation, failure, goals, leadership, motivation, passion, personal growth, professional development, professional growth, resilience, risk, risk-taking. Bookmark the permalink. Love this post Steve! As always, thought provoking. I am so glad to see that the College is paying some attention to adjunct faculty and that you are part of the effort. Dr. Chuck Spence, an FSCJ Prez possibly before your time (!) often told faculty that we weren’t making enough mistakes – (Need to stretch yourselves more!) We were sorry to see that man leave. Hi, Marian. Spence was there my first year…then there was regime change. Thanks for the link…will read for sure! Meme, In this upcoming week, I plan on stretching myself to where I can continue to educate myself and work harder. If I might fail or succeed I will continue my education on my craft. I will help myself grow into a better person and receive help from people I know that has the same interest that I do about life and school. Best wishes. The more specific you can be the better chance of charting a meaningful journey. Right you are! Many (all?) of the successful people we can think of have had failures along the way. The lessons we gain from the failures are critically important…and then we act to move forward. Some people say, failure is not an option, but if failure wasn’t an option how can you become successful? In order to be successful you have to learn from your mistakes, failure is to encourage you, to do better. If more people was to read this blog, they will get a better understanding about failure. Many successful people didn’t win the first time, it took time, effort, and failure, to push you to try even harder. Thanks for your input and insights!